With 2017 right around the corner, so many companies are already feeling the effects of shrinking candidate pools and an ever changing workforce. Successful organizations will be those that can establish a culture that quickly adapts to and embraces the diverse needs of current and potential employees. This article explores the “6 Top Workforce Trends for 2017” and what employers should expect in the coming year. 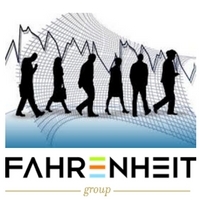 The Fahrenheit Group has a team of experts to help top organizations hire and retain top talent.